My Favorite Trucks cotton panel -- approximately 35" x 44"
Jeep In The Wild cotton panel -- approximately 35" x 44"
Air Show cotton panel -- approximately 23" x 44"
Doggies In The Window cotton panel -- approximately 23" x 44"
Jim Shore's Noah's Ark cotton panel -- approximately 35" x 44"
Coming from a family with a legacy of quilt making, and after quilting for more than 30 years and working with many friends and guild members, I've learned a lot about fabrics that make great looking quilts. My venture into starting my own business began in 2008, and it has grown rapidly. 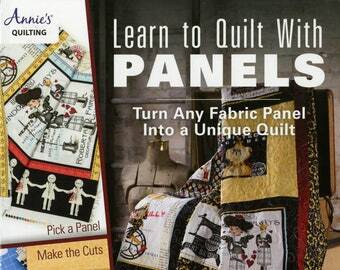 The Panel Lady has helpful panel books and a wide selection of panels from the best designers in the business. My focus is on my booth at quilt shows and the website. It's wonderful to meet other quilters and see the beautiful work exhibited at the shows. I learn from everyone and really try to be of help to those who come by the booth. 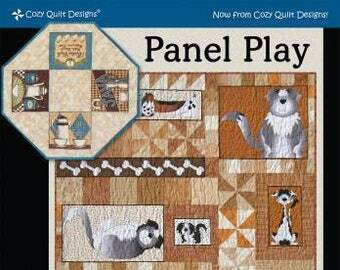 New panels are being continuously added to my product line as the manufacturers make them available. Please see my Show Schedule and come by my booth. Also, check out the panels I have placed on the site and click the "Contact Shop Owner" button if you have questions. It would be good to hear from you, and I will be happy to help. We stock a large number of panels from major suppliers including Elizabeth's Studio, Moda, Quilting Treasures, Windham and many others. We are constantly in touch with major quilting suppliers in order to keep our product set current.